Duodenal diverticula are acquired outpouchings of the mucosa and submucosa, 90 percent of which are on the medial aspect of the duodenum. They are rare before age 40. There is a high incidence of gallstone disease of the gallbladder in patients with juxtapapillary diverticula. 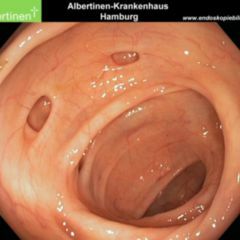 Diverticula are not seen in the first portion of the duodenum, where diverticular configurations are due to scarring by peptic ulceration or cholecystitis (inflammation of the gall bladder).